True, there are no miscellaneous kids hanging around our home any more and we wouldn’t give them away if they were. The kids we have launched into the world have left some things, however, that we finally feel free to give away. 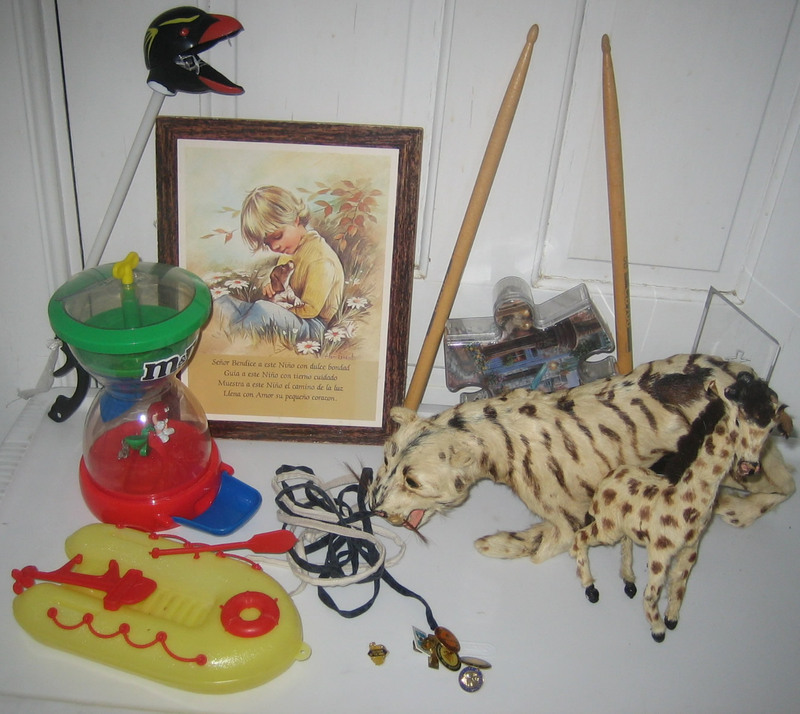 I’ve been collecting these odds and ends for the last several months as I would wander through what used to be called “the kids’ rooms.” Now they are guest rooms. Some of this stuff is just junk, but some of it requires finding a new home. I’m finding that one of the tricks to ongoing pruning is to put stuff in a corner box as I collect it. Then, every few months make a trip to Goodwill or wherever. Does anybody want any drumsticks? 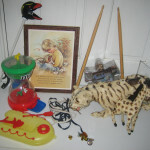 In fairness to the kids, my next blog will contain miscellaneous adult stuff. See what Jim and I have hung on to for way too long. A Question for you: Are there any remnants from your child’s life that are just tucked away and not worth keeping for posterity? Search around.